This is a homepage for featuring Minnesota apparel and t-shirts. Minnesota Made is a locally owned and operated apparel company rooted in the St. Croix River Valley. All business is run out of our studio located on the North Hill in Stillwater, MN. Each design is designed and screen-printed in Minnesota with every t-shirt having a hidden quote made to empower and inspire. Proudly using sustainable and USA apparel. 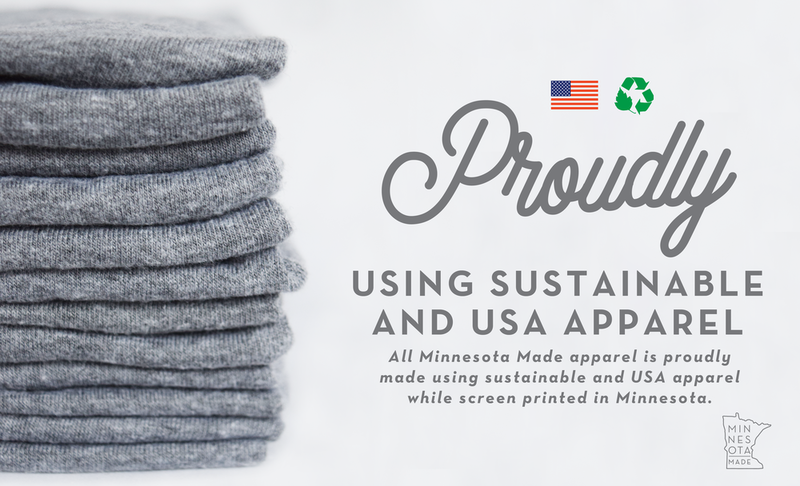 Minnesota Made is dedicated to unique and thoughtful design, quality clothing on premium fabrics, and giving Minnesotan’s apparel they can wear with pride.